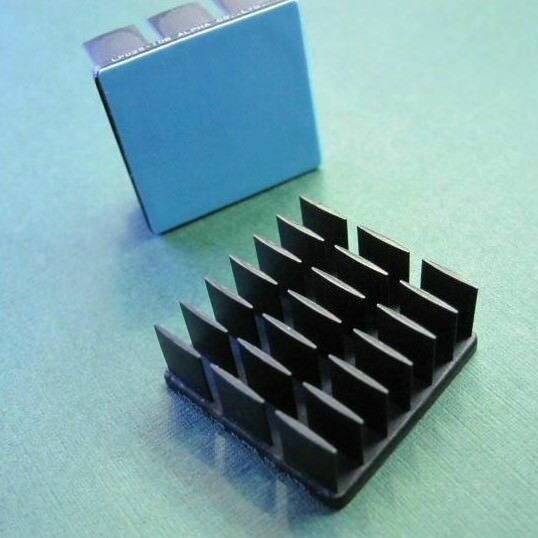 The LPD25-10B Alpha heat sink offers a natural convection thermal resistance rating of 17.8 °C/W within a 25mm square footprint. The elliptically shaped, aerodynamic fins are set in a sparse pattern making it easier for air to efficiently flow through the heat sink, making this cooler an ideal choice for either passively or actively cooling high power LEDs. Click the button below to add the 25mm Square x 10mm High Alpha Heat Sink - 17.8 °C/W to your wish list.